Before we know it, the excitement will begin again for the next class of incoming NIU students and their families. In 2016, Huskie Fall Kick-Off was created to help welcome our newest Huskies to campus. We’ll be continuing this tradition on Friday, August 25, at 5 p.m. in the Huskie Stadium. 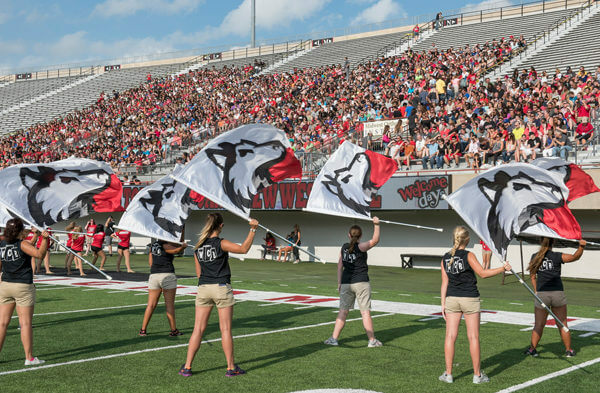 During this dynamic event, new students and their families will be led by the NIU Huskie Marching Band to the stadium, where they’ll receive their Northern Pact T-shirts and learn what it means to be an NIU Huskie fan! We’ll celebrate the different NIU traditions with President Baker, faculty, staff and fellow students. New students will also head onto the football field and form a giant “NIU” for a class photo. A can’t miss event! We’ll need volunteers for this event. Be on the look-out in late July to sign-up! More details will follow in the weeks and months ahead. For more information, call 815-753-1535 or email orientation@niu.edu.